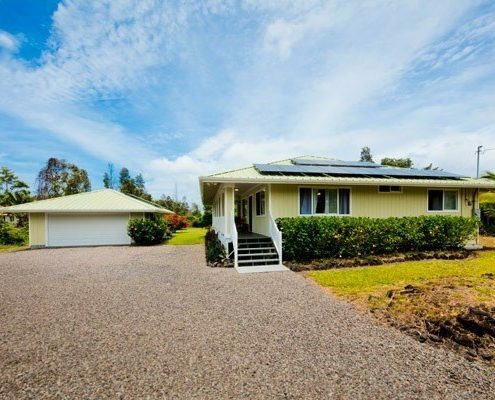 Lovely refreshed furnished solar powered home in Hawaiian Shores Recreational Estates. 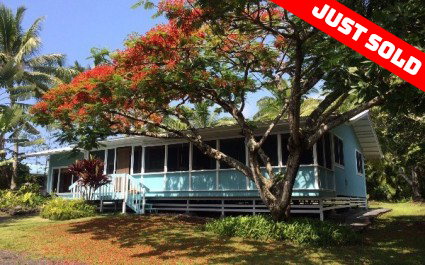 3 Bedrooms 2 Baths with 1,696 square feet of living space plus a nice covered 272 square foot lanai great for entertaining in the tropics! A third of an acre with: 2 orange trees, 1 mango tree, 1 avocado tree, 1 lemon tree, 1 tangerine tree, 1 macadamia nut tree & a producing pineapple patch. Private water, no catchment, cable, internet, phone, mail delivery, active home owners association & CC&R'S. Since the owners purchased the home in 2013 they have refreshed the property by adding or replacing the following list of items: *Newly installed Solar System *Freshly painted interior March 2018 *Exterior paint refreshed in 2015 *Porcelain tile flooring installed 2013 *Fans & Lights *Kitchen countertops *Kitchen sink, faucet & garbage disposal *Microwave Fan *Backsplash behind kitchen stove *Front door *Interior & Closet doors *Pantry door *Electrical switch plates *Baseboards *Marble sinks & faucets & light fixture added in Master Bathroom *Decorative sink & faucet & countertop added in 2nd bathroom *Window sills *Window coverings *Electric Garage door with 2 openers *Misc shelves for storage in the garage *Screened-in Lanai with carpeting, bar & refrigerator *Fenced back yard *Storage shed 10 x 8 Home is currently insured. 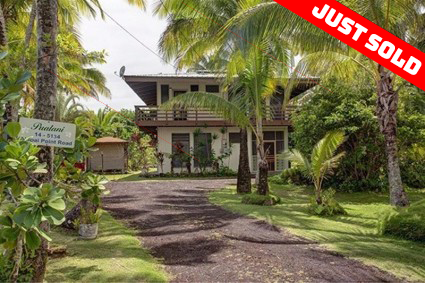 If your looking for a well maintained furnished turn key home in Hawaii look no further, this is a must see to fully appreciate! Beautifully landscaped, well-kept yard with a Japanese garden in the back side of property. Owner is from Japan and created a lovely Japanese style garden. They also love orchids so the front yard has a beautifully sculped area as well. Inside looks like new because this is a vacation home for the owners only. 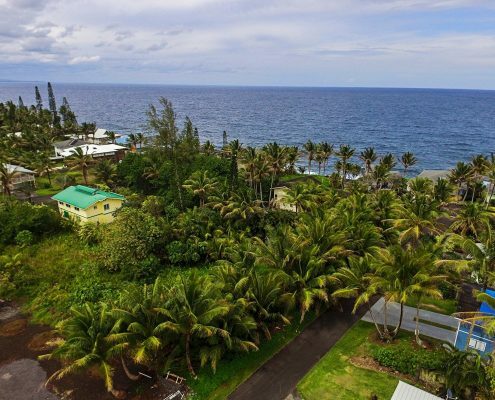 Beautiful Hawaiian Beaches Subdivision! This fabulous lot is only seconds from the shoreline and is the perfect location to build your dream home. Gorgeous oceanfront homes only 2 lots away enhance this already very special area. Great potential for ocean views with a two story home. Underground utilities, Private water, Paved roads, Mail delivery, No CC&R's. Just around the corner is the beautiful palm lined Kahakai Oceanfront Park. 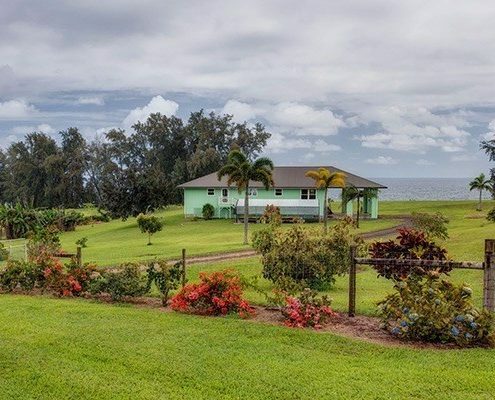 Spend your days listening to the surf, watching the whales, enjoying the local ponds and tide pools or shopping and dining in either the quaint Pahoa Town or Hilo. Whether you want to walk along the shoreline or relax in the park, this is a tropical paradise. 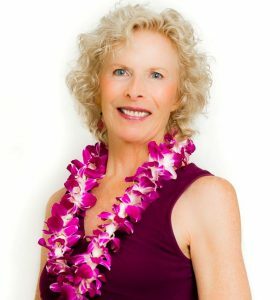 Experience Hawaii living in a spacious 2,500+ square ft, 4 bedroom, 4 bathroom home that features exquisite exposed cedar beams and natural light in every room! In addition to the open floor plan, the layout includes a separate master suite with it’s own private entrance and kitchenette, which serves as the perfect solution for those looking for rental income or a separate office space. Rare find in Waikoloa. Lot boarders vacant property owned by the Waikoloa Village HOA. 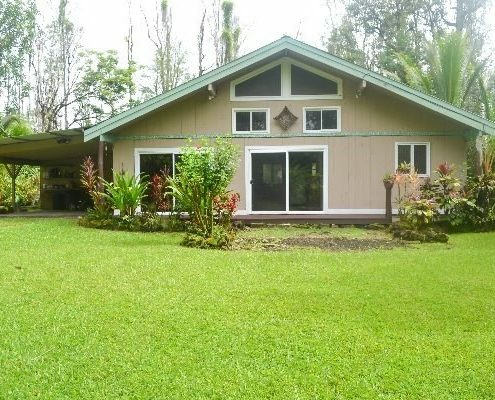 Great find for a 3bd/2ba home with over 2,200 sqft of living space located in lower Kaumana. 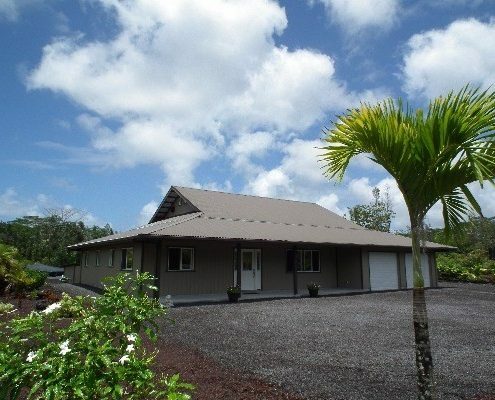 You'll be minutes from restaurants, hospital, schools, downtown Hilo, shopping and more. Large family room w/covered back patio space great for entertaining. 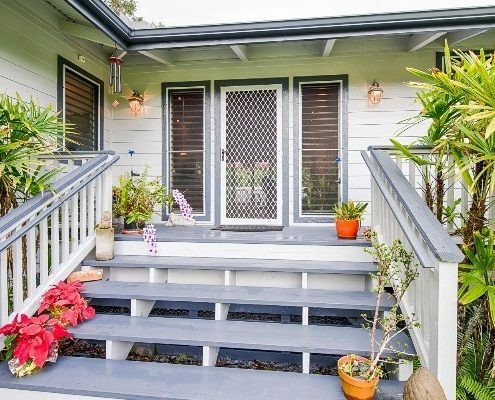 Property is also fully fenced with easily maintainable grass yard and various palms landscaped throughout. This large family home has something for everyone! 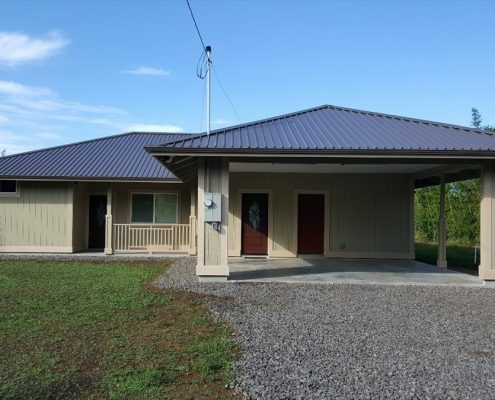 A total of 2139 sq ft of living space under roof, there is 1,266 sq ft upstairs with 3 bedrooms and 2 baths and 873 sq ft downstairs with one bedroom and one bath. Downstairs is a a separate living space with a private entrances from both the front and back yards. 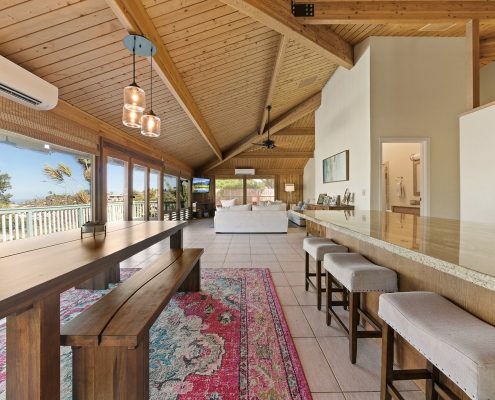 A huge 1,224 sq ft lanai wraps around the entire second floor. A well has been installed for water so no unsightly catchment tank. The spacious 720 sq ft detached garage has enough room for 2 vehicles and a workshop. Great man-cave! New stranded bamboo hardwood floors upstairs and vinyl laminate downstairs. The kitchen on the second floor has custom African sapele hardwood cabinets and other exotic hardwood accents. The acre lot is fully fenced with a rock wall in front and a custom wooden gate with automatic opener. The nicely landscaped yard has a circular driveway in front, a huge, beautiful grassy lawn in back with mature royal palms planted along the sides and back. Great location in the sunbelt of HPP where you are just right around the corner from oceanfront parks and places to walk or ride your bike. Island life at its finest! 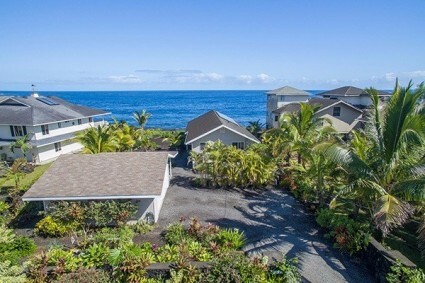 This gorgeous upscale property is privately located only one lot from the end of a no-through street in the popular Hawaiian Paradise Park subdivision, conveniently situated between Hilo Town, with its major amenities & multiple fabulous public beach parks, and the awe-inspiring secluded lower Puna District, with its many natural attractions! Plus, it’s also not too far from the ever-popular Volcano National Park & Volcano Village! This Steve Correia built, custom home is only a 5 minute walk to the shoreline. Let the sound of crashing waves lull you to sleep each night! The owner has lived here only a few months and the house is in immaculate condition! Location, location, location! Desirable Kaloli point sun belt. Dead end road and access to the Shipman's Beach trail head. 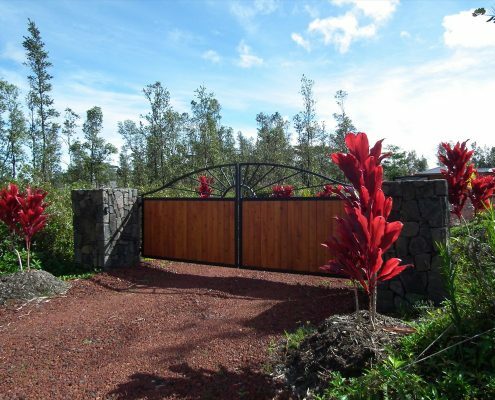 A new lava rock wall and security gate will add to your peace of mind. There is new perimeter landscaping and approx. 1/4 acre of lawn has been planted. Enjoy the quiet and serene that envelopes this home from the cozy front porch or covered rear lanai. Move in ready, all furniture included! 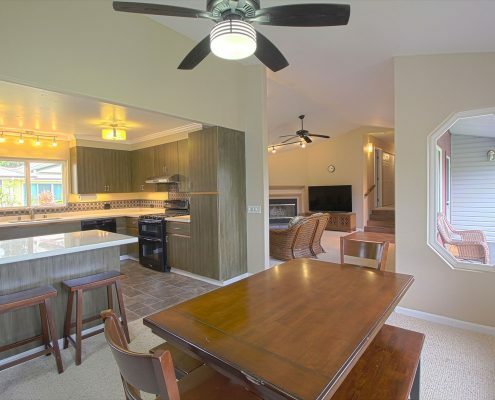 This is a stylish and modern 3 bedroom 2 1/4 bath split level home in Hawaiian Shores Recreational Estates (that means access to all the benefits of the pool, the classes and the park!). This well maintained home is light and airy on a quiet dead end street with good neighbors. 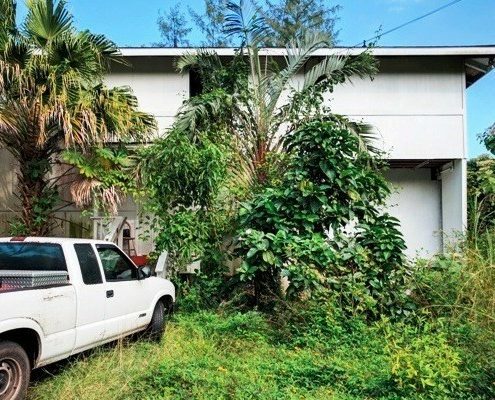 The current owners put a lot of work into creating a lot of space for their vehicles, so there are several spots to store boats or additional cars, and 4 gates and entryways onto this fully fenced yard (so many possibilities!). There is a 2 car enclosed garage (with open slats on the side for ventilation). There are established plantings and pineapple plants throughout the property and a concrete slab in the back waiting for you to turn it into a deck or a cooking area. This home boasts an indoor laundry area (with a brand new dryer), spacious kitchen with a gas stove, quartz counter tops and a dining area that is open to the living area, complete with a fireplace to warm you on those occasional cool nights. Enjoy two living room areas, one with direct access to the back yard. Don't let this charming spacious home get away! 2 story with 2 separate living areas on one acre. Tenants left the house trashed but the construction has good bones. Large downstairs with 2 bedrooms and a full bath; upstairs has 4 bedrooms and one bath. Great project for a contractor or investor. NO CATCHMENT TANK. PAVED ROAD AND COUNTY WATER!! 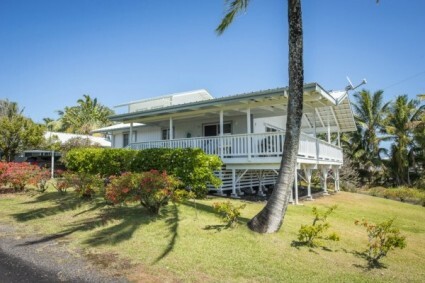 KAPOHO BEACH HOUSE LESS THAN 200 FEET FROM THE OCEAN! 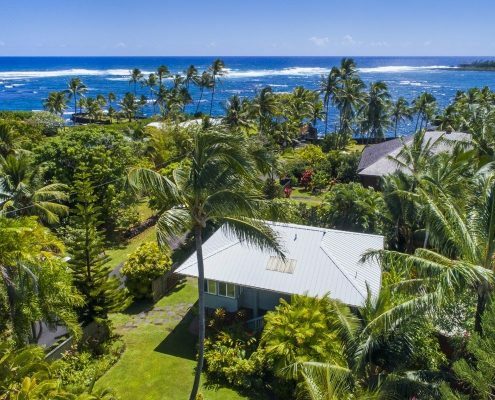 Enjoy unobstructed ocean views from your Hawaii island home in Kapoho Beaches. View is actually in deed! No one can build to block it! Swim in your own private pond and relax in the gazebo after showering off in the outside shower! Located on corner lot with million dollar properties behind and on one side; properties like this are hard to find, especially at this price. 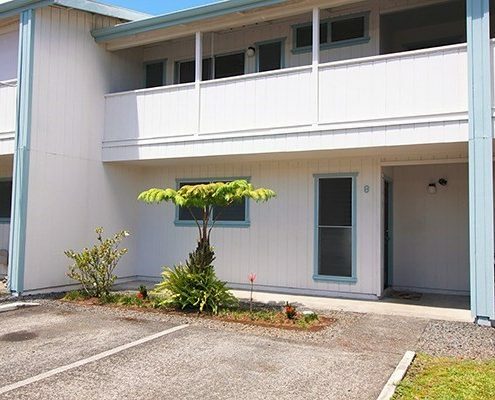 The Kawili Regency is located within walking distance to both the University of Hawaii at Hilo and Hawaii Community College. This 2 story unit has been refreshed and is move in ready. As you enter your unit, the owner installed durable laminate tiles in the kitchen, hallway and downstairs full bath. Your kitchen features lots of counter space and real wood cabinets. Lots of cabinet space for storage. A breakfast bar provides seating for those quick meals in our busy lives. The living room with laminate floors is open with lots of natural light from the sliders which open to your private outdoor space. Great for storage, gardening or just a quiet spot. On the ground floor there is also the first of 2 full baths with a walk in shower. 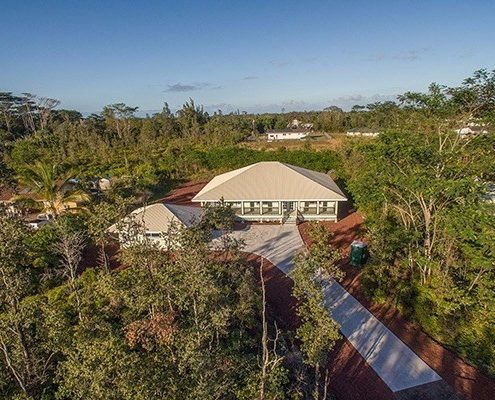 Aloha and Welcome to this Gorgeous, Custom, brand new home located on a square 3 acre parcel on paved Orchidland Dr. You are greeted by a Solar Automatic Gate, with large rock pillars holding it in place. This new home features 4 bedrooms, and 4 and a half bathrooms. Koa and Mango wood accents through out the home, and cabinetry. There is a covered walkway that attaches a separate studio with it's own full bathroom. Sitting at a wonderful 700 feet of elevation, makes for a bit cooler then the coast, plenty of rain for your planting needs, and nice views of Mauna Kea from the yard. This is a super quality home, with beautiful newer homes next door and across the street. *Gorgeous insulated Custom Contractor Built Home, 3,000 sq ft of covered living space! *Fully insulated throughout with R-13 in Walls and R-30 in Ceiling! *Stunning Italian Porcelain Tile Floors! *Vaulted ceilings, Highly desirable open concept living with split Bedroom plan! *Ultra plush Carpeting in Living room and all Bedrooms! *Concrete Driveway! *Water well, NO unsightly catchment tank! *Ultraviolet Water Purification System! *ALL new Kenmore appliances to include Washer and propane fed Dryer, Dishwasher, double door Refrigerator and propane Stove! *Custom built in Entertainment Center with 60" Samsung TV and Yamaha Sound System with built in speakers throughout the house including the Lanais! *Large Master Bedroom with Master En Suite Bath Retreat with large walk in Shower with custom rock floor, custom Italian tile and glass tile inserts, Dual Sinks, Granite Counters, custom Cabinetry, Jetted 3 person Tub and a wall mounted 40" LG TV! *Huge Chef's Kitchen with granite counters, step in Pantry, large eat at Bar and custom Cabinetry with soft close feature! *Propane fed Tank less Hot Water system! *Lighted Ceiling Fans throughout the house! *Mini can recessed LED lighting in the Living, Dining and Master Bedroom! 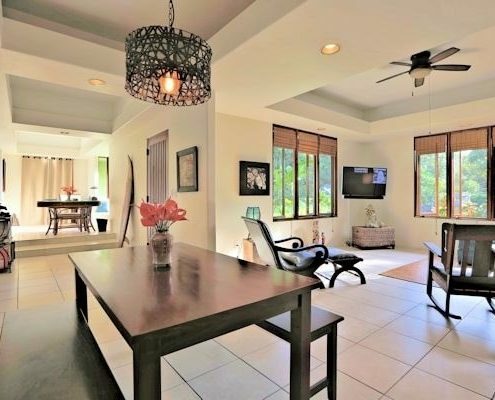 *Private front Lanai off of the Master Bedroom! 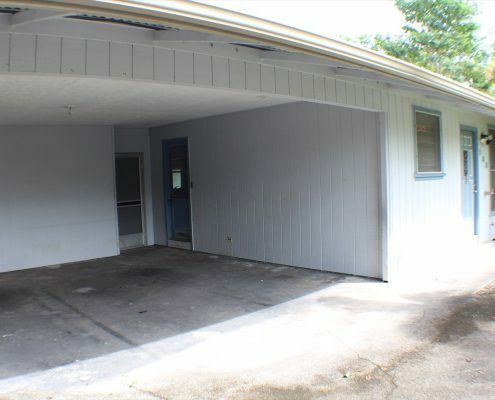 *Huge rear Lanai with access from all 3 Bedrooms! *580 sq ft Detached 2 Car Garage with auto garage door opener! *Interior Laundry Room right off the Kitchen with Kenmore Washer and Dryer included along with Custom Cabinetry and wash Basin! It doesn't get any better than this, come see today!!! Island life at its finest! 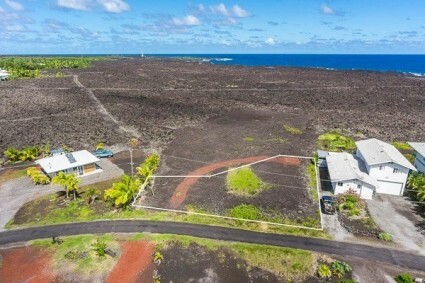 This gorgeous upscale property is privately located only one lot from the end of a no-through street in the popular Hawaiian Paradise Park subdivision, conveniently situated between Hilo Town, with its major amenities & multiple fabulous public beach parks, and the awe-inspiring secluded lower Puna District, with its many natural attractions! Plus, it’s also not too far from the ever-popular Volcano National Park & Volcano Village! The property is so well-planned, it creates a resort-like feel! 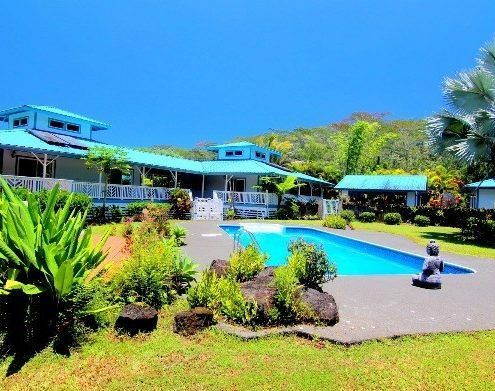 Features include: 2 mirror-image living quarters with large covered connecting lanai with relaxation/entertaining areas, a spacious in-ground pool and large cabaÃ±a house with outdoor kitchen and adjoining outdoor shower, PLUS a 2 car-garage with Laundry room AND a separate 2-car carport! Tastefully designed, each of the homes feature a large central cupola, to provide a natural escape for warm air plus a beautiful source of soft natural lighting, open floor plans with extra-high ceilings, woven bamboo & tile flooring, granite countertops, multiple ceilings fans, a separate solar water heater, and a uniquely custom kitchen & bath, along with unique ceiling treatments! This property offers so many possibilities! Can use as a primary residence with guest house/home office, or as residence plus vacation rental, two vacation rentals, or as a residence plus mother-in-law suite or caretaker’s home! The cabana house can be used as an art or hobby area, or to teach classes or host daytime spa retreats at! Even the additional carport can be used for added covered outdoor living &/or entertaining space as desired! There are so many retreat-like qualities to enjoy here! A stately palm- lined entry with custom gate, mature tropical landscaping, pool & outdoor kitchen, covered lanai with its relaxing view of pool/cabana area, a large grassy area for lawn games, & multiple entertaining areas! A MUST SEE for the savvy investor! Please SEE VIDEO! 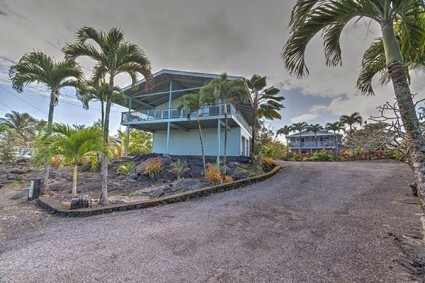 Aloha and Welcome to this Impeccable, Custom, newer (2013) home on Paved 28th Ave. in Hawaiian Paradise Park. 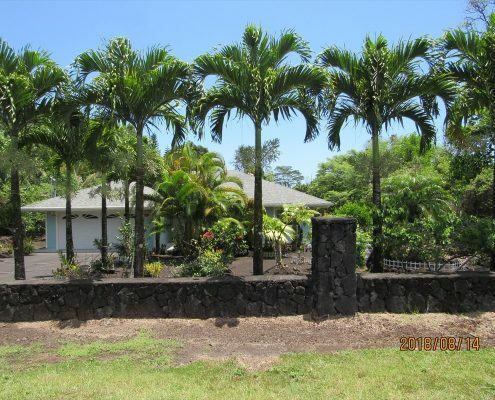 Super clean and together, with beautiful upgrades throughout, on a fully landscaped one acre lot in East Hawaii. Paved roads lead the way to the twin garage doors. Solar hot water heater helps keep the electricity costs down. Home features large covered, front and back decks, a huge vaulted ceiling in the great room. Split floor plan with large bedrooms, custom built in desk in guest bedroom. Beautiful kitchen, with Quartz counters, cherry hardwood cabinets, stainless steel appliances and tile floor. Gracious master bedroom has a walk in closet, and large bathroom with twin sinks. Sliding doors lead from the dining room and the master bedroom to the back deck. An interior laundry room also includes a walk in pantry. 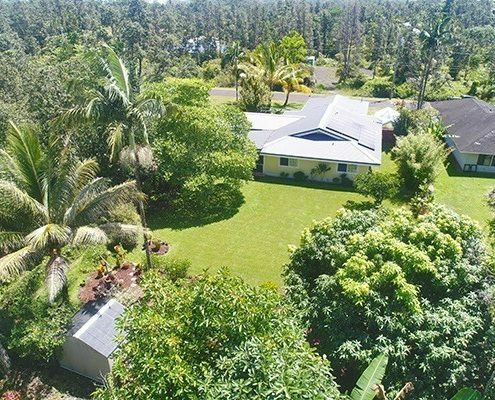 Back yard is exquisitely landscaped with a grassy lawn, surrounded by fruit trees, flowers, hapuu ferns, rock work, a 10,000 gallon water catchment tank with a pump house, UV filtration. 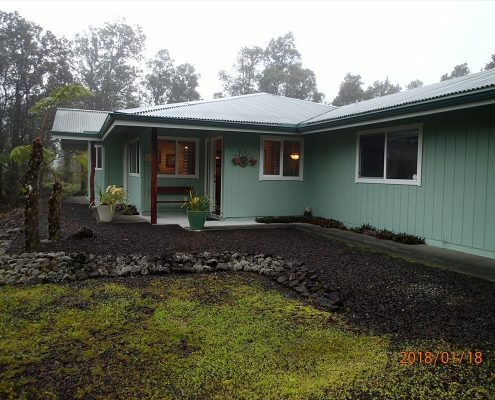 Time warner cable services the home, a comfortable 20 minute drive to Hilo, come and see this Gracious property and you won't want to leave. 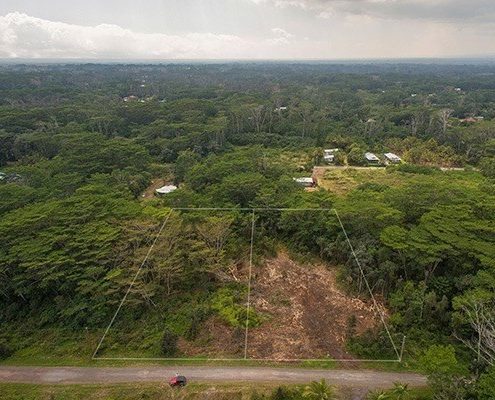 Welcome to your own 1 acre, tropical oasis, featuring numerous mature, producing trees. 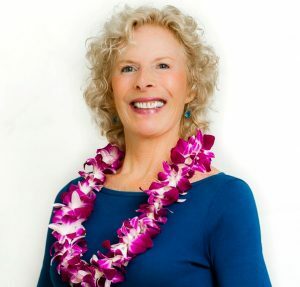 A gardener's delight, enjoy everything from mangoes, pineapple, pink lemons, lychee, tangerines, Tahitian limes, oranges, avocados and more, just steps from your front door. This popular HPM Lauhala model features an open floor plan with an extra large master suite separate from the guest bedrooms. A large lanai welcomes guests at the front of the house and is also accessed from the dining area and the master bedroom. A second set of stairs off the master leads you to your private and grassy back yard. Vaulted ceilings, granite countertops and stainless steel appliances, including a dishwasher, are a few of the upgrades you'll find in this home. The oversized, detached garage also contains an additional bathroom and storage room. Use this space for a workshop or as you wish, and never worry about your electric bill again. This home not only has a solar hot water heater, but also 15 PV panels that are owned and under the net metering system. Grandfathered in, this is a benefit to home owners that has not been offered since 2015. A newer catchment tank has been installed and a UV light is part of its filtration system, providing you with clean potable water. About 1/3 of the lot has been kept in native forest providing a nice buffer from neighbors who's homes are nicely staggered. There's also a bonus home on the property for the shorter people in your life 🙂 This well kept property won't be kept for long! Clean and ready for a new owner, have your agent schedule a showing before it's gone. MAJOR HANDYMAN SPECIAL! 2 story with 2 separate living areas on one acre. Tenants left the house trashed but the construction has good bones. Large downstairs with 2 bedrooms and a full bath; upstairs has 4 bedrooms and one bath. Great project for a contractor or investor. NO CATCHMENT TANK. PAVED ROAD AND COUNTY WATER!! 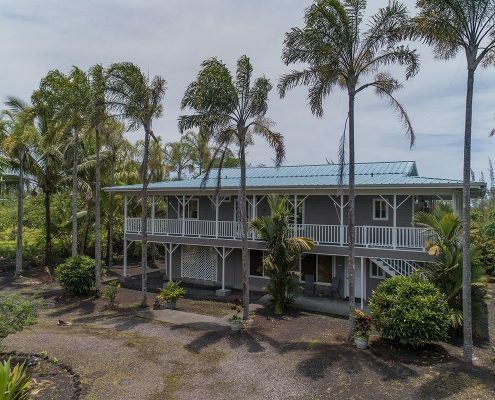 Great location, just one block from the main highway off Kaloli in Keaau between Pahoa & Keaau shopping centers, schools and minutes from Hilo and surrounding beaches. Large enough to occupy extended families or great rental income potential with individual kitchens and carports. Rock walls, chicken coop, fruit trees. Covered deck upstairs. This is a complete gut job. Charming custom 2 bedroom, 1 3/4 bath home with bonus large loft and 2 car carport with laundry/storage room. Vaulted cedar ceilings add a spacious feel to the living area. Bedrooms are separated on either side of the home for privacy. Master bedroom has brand new carpet and en suite bath. Master bath has be remodeled and has a beautiful tiled shower. Spacious loft up stairs perfect for 3rd bedroom or office space also has its owner private lanai that looks out to the lush backyard. Home has the perfect cozy country feel with all of the windows and wood walls. Lots are located about 9 streets from the ocean and within the HPP “sunbelt.” Look for real estate sign between poles 3 and 4. Close to Makuu so not far to travel on the dirt road. 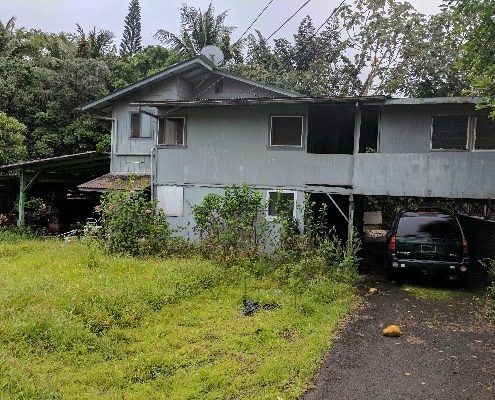 Great location on a dead end street with few homes and friendly neighbors. Seller prefers to sell both lots together: MLS 603888 and 603889. Two side-by-side lots off Maku'u on 8th Ave. All the large Albizia on this parcel, 3-1-5-27-136, have been killed or poisoned and cut down. All the small Albizia on both lots have been poisoned and will die off soon. 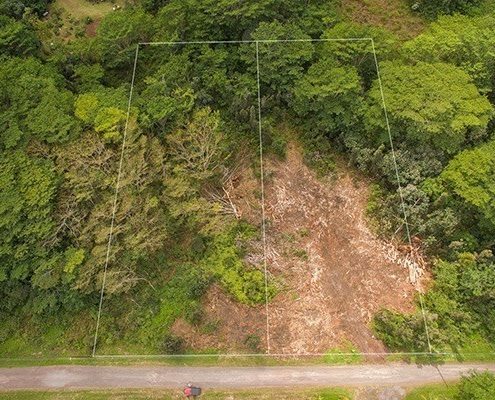 Excavation work has been done, at great expense to the owner, to partially clear this lot and pull out all the Albizia stumps. The interior of the lots is very flat and ready to build, with some additional tree clearing. Panoramic Ocean Views from This Amazing Location! https://joydillon.com/wp-content/uploads/2017/03/home.jpg 283 425 netcom https://joydillon.com/wp-content/uploads/2017/04/joy-dillon-logo-realtor.png netcom2017-03-27 11:05:052017-05-29 02:50:08Panoramic Ocean Views from This Amazing Location! Outstanding Ocean Views Across the Street from the Ocean! https://joydillon.com/wp-content/uploads/2017/03/home-6.jpg 283 425 netcom https://joydillon.com/wp-content/uploads/2017/04/joy-dillon-logo-realtor.png netcom2017-03-23 00:04:302017-05-29 02:49:34Outstanding Ocean Views Across the Street from the Ocean!